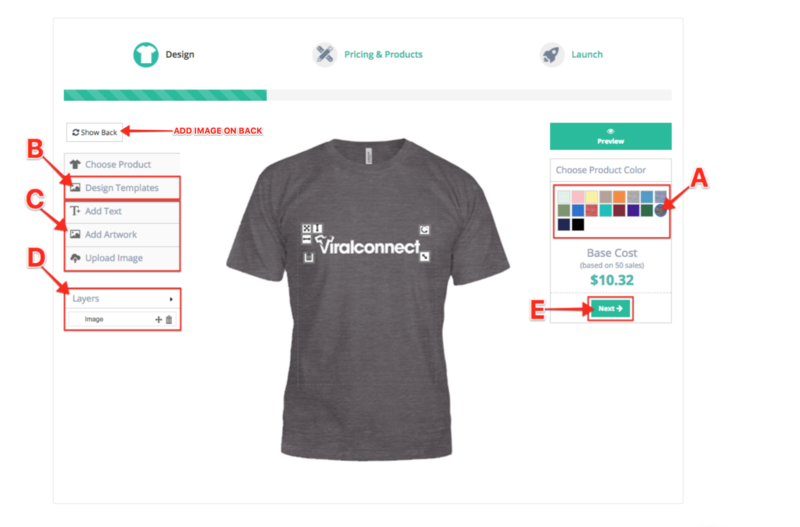 Click the "Products" button (top-right), then click "Create New Product". 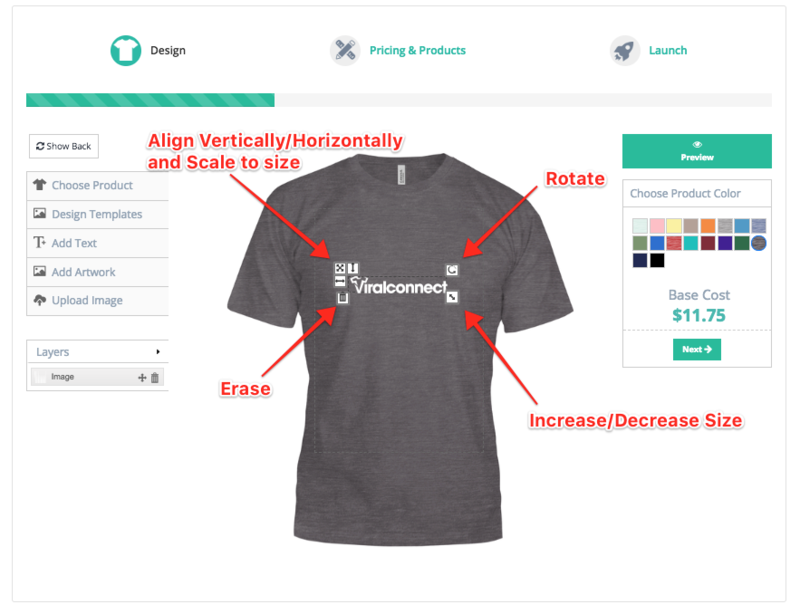 Note: Click the "Show Back" button to upload an image on the back of your product. 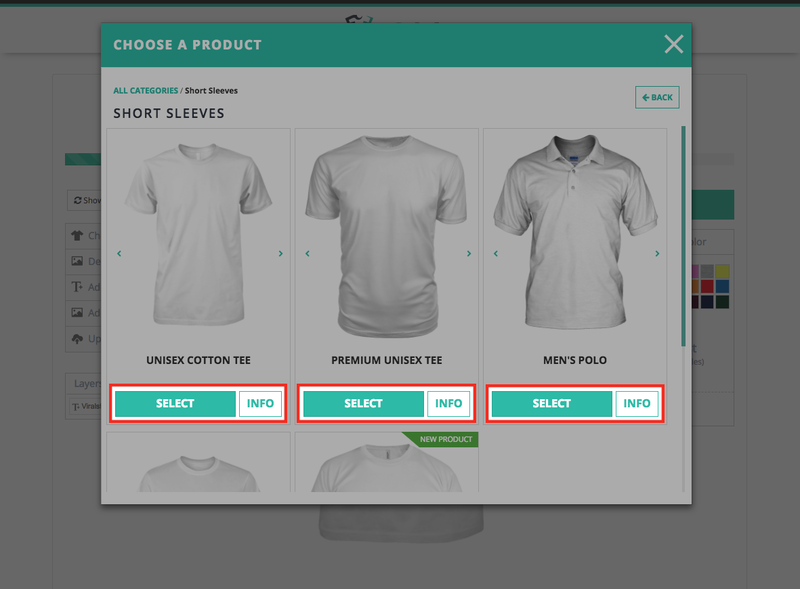 c. Click "additional products" to add garments to this group. Repeat steps A & B for the additional products added. a. Title, name your product(s). b. Description, describe your product(s). 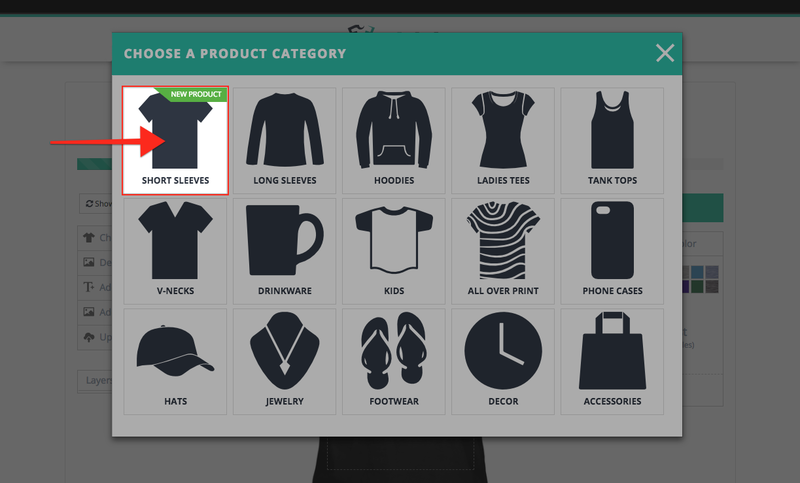 c. Tags, allow you to automatically add products to an "Automated Shopify Collection" with a specified tag. 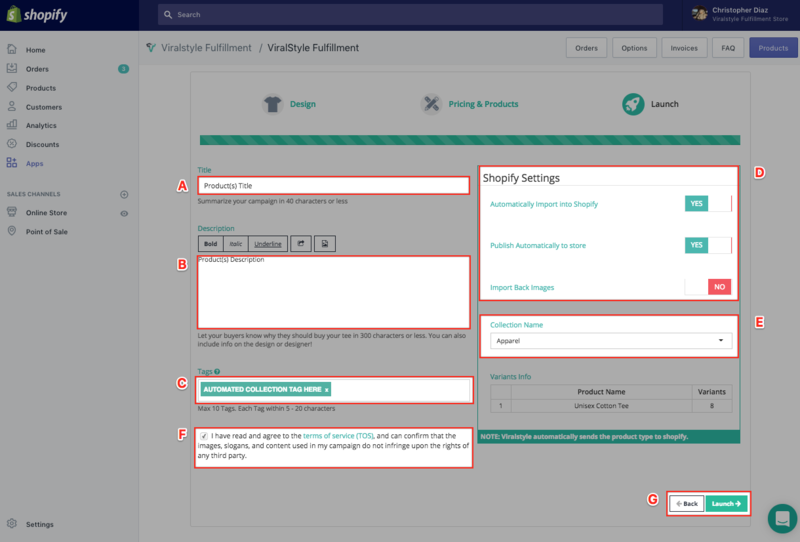 d. Shopify Settings, control how the product is imported to your store (auto-import & auto-publish available). 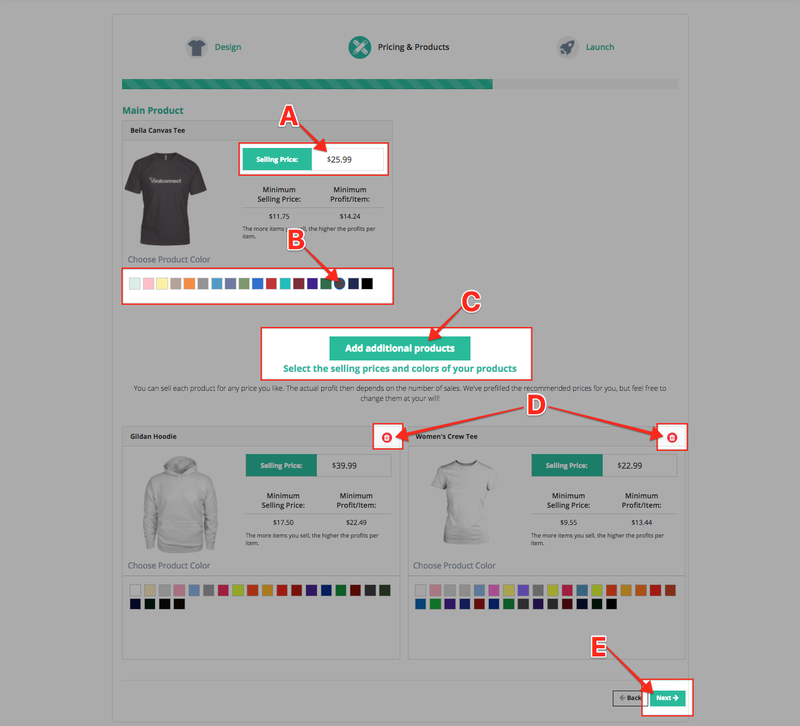 e. Collection Name, choose which "Manual Shopify Collection" you'd like to add this product to. f. Agree to terms of service. g. Launch or go back. To Edit Products after Launch, please see the article below.